So, it’s official. Call of Duty: Black Ops II can boast earning more money in just 15 days than some countries can as their GNP for a full year. Call of Duty: Black Ops II has also reached this epic milestone of $1 Billion in sales in a shorter time than any other entertainment property. The fastest grossing video game of all time, Call of Duty: Modern Warfare 3 did it in 16 days. Avatar, the fastest grossing film of all time and highest grossing film of all time, took 17 days. 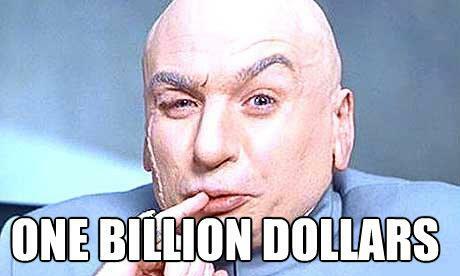 In under three weeks, Call of Duty: Black Ops II has boasted over 150 million hours of online play as well. To give perspective, someone who lives until their 80th birthday has only been alive for 700,800 hours. That means that there have already been over 214 LIFETIMES spent playing Call of Duty: Black Ops II. Numbers like that are simply astounding and cannot be ignored by any industry.